After five innings without much going its way offensively, Maryland had a real chance in the sixth. Trailing 3-1 to the Michigan State Spartans, Marty Costes drew a leadoff walk. Then, Kevin Biondic doubled, bringing the tying run into scoring position. The stage was set for a comeback, but an unsuccessful squeeze bunt by Will Watson, followed by a pop-up and strikeout, limited the Terps to just one run in the frame. That was the last run Maryland scored, as it dropped the series opener to Michigan State 4-2. Maryland jumped out to the early 1-0 lead, when Taylor Wright singled home Zach Jancarski in the second inning. The two-out rally was started when Jancarski walked and stole second base. After that, the Terrapin offense was shut down for the majority of the afternoon, totaling just three hits in the loss. Outside of Biondic, who finished 2-for-4, the Terps were 1-for-25. That included a poor 2-for-14 clip with runners on base, and 1-for-7 with runners in scoring position. The Spartans responded with one run in each of the second, third, and fourth innings. Unlike Maryland, Michigan State was able to capitalize from free bases. Zack McGuire scored after he was hit by a pitch, and Marty Bechina scored after stealing second and taking third on a throwing error by Vought. Overall, it was still a strong outing for Maryland freshman right-hander Mark DiLuia, who threw 6.2 innings and allowed four runs (three earned) on just six Spartan hits. Though head coach Rob Vaughn admitted DiLuia didn’t have his best control, he battled into the seventh inning to record the longest start of his young collegiate career. The Terps did have chances to score thanks to command issues by Spartan starter Ethan Landon, who walked five batters in his five innings of work. In addition to their chance in the sixth inning, the Terps had a chance in the fifth after back-to-back walks by Randy Bednar and Justin Vought. The next two hitters were retired. Once the Spartan bullpen relieved Landon, Maryland was shut down. The trio of Jake Lowery, Mitchell Tyranski, and Riley McCauley didn’t allow a hit to any of the 16 batters it faced. The Big Ten foes will resume their three-game set on Saturday, when Maryland sends Hunter Parsons to the hill to face Michigan State’s Mason Erla. Last week, Parsons threw an eight-inning gem against Purdue in a tough-luck extra inning loss. Two days after a morale-boosting 6-1 win to snap a six-game skid, the Maryland Terrapins hit the road to begin a seven-game trip away from College Park, facing the Michigan State Spartans in a three-game set. Rob Vaughn’s Terps will look to use that “complete” victory to rejuvenate a team that has lost six straight conference games. A road series with the Spartans, however, is a tough opportunity to do so. After starting off 0-5 in the Big Ten, Michigan State has won six straight games, including a two-game sweep of Nebraska and last weekend’s three-game sweep of Northwestern. Overall, the Spartans have won their last five contests, and nine of their last 11. A major key for their recent success has been their pitching. Michigan State’s pitching staff ranks third in the Big Ten in runs per game, and is led by a pair of solid weekend starters. Ethan Landon, the Friday starter, has had back-to-back starts with at least six strikeouts, while Saturday starter Mason Erla has held opponents to a .216 clip on the year. As a staff, Michigan State has allowed the fewest homers in the conference. What Michigan State lacks in firepower offensively — it ranks last in the Big Ten in home runs — it makes up for with discipline and small ball. As a team, the Spartans have struck out the second-fewest times in the conference, and have stolen the most bases, thanks in large part to Bryce Kelley, the sophomore two-way player who has swiped 24 bags. The one batter that provides some pop to the Spartan lineup is senior Zack McGuire, the team leader in home runs (5) and RBI (21). The other catalysts of the offense include Justin Antoncic, who is hitting a team-best .308 and has an on-base percentage of over .400, and Chad Roskelly, a .300 hitter that leads the team in slugging percentage. Roskelly enters the weekend series as one of the hottest hitters, as he is riding a 14-game hitting streak and an 18-game on-base streak. Unlike Michigan State, Maryland utilized the long ball often over the past week, as three home runs propelled it to a midweek victory over James Madison. Nick Dunn, Will Watson, and Randy Bednar all homered, and Maryland has three player with at least five home runs. The Spartans have just one. Another thing to watch for is Maryland right-handed pitcher Taylor Bloom, who could make a relief appearance after he missed his last two starts following an injury. 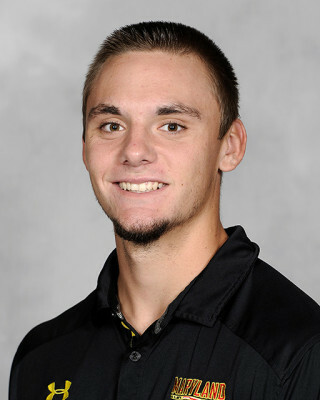 He was struck by a line drive in the head before a game against Michigan earlier this month. The Terps and the Spartans have met six times in the regular season since Maryland joined the Big Ten prior to the 2015 season. In 2016, the teams split their four meetings (one of which was in the Big Ten tournament), and last season, the Terps swept the Spartans in College Park. Ethan Landon has had some tough luck on the hill, picking up a team-high five losses in his 10 starts, but the redshirt senior has still been a reliable starter for the Spartan staff. The strike-throwing right-hander has struck out 59 batters in 63.2 innings, and has recorded at least six strikeouts in each of his last two starts. Arguably his best outing came last Friday in the series opening win against Northwestern, where he threw seven innings, allowing two earned runs and striking out eight batters, one shy of a career-high. DiLuia has made seven midweek starts so far this year, but will get his second crack at a Friday appearance as he looks to keep the Terps afloat while Bloom recovers. In his first weekend start of his career, the freshman threw 111 pitches in six innings, and allowed four runs (all earned). He did, however, struggle with his control, as he has shown erratic tendencies at times throughout the season. He walked five Purdue hitters in the start, but did a good job of escaping trouble, as only one of those baserunners scored. Erla has arguably been Michigan State’s most dominant starter this season, and despite some control issues, has had a stellar first season as a main contributor for the Spartan weekend rotation. 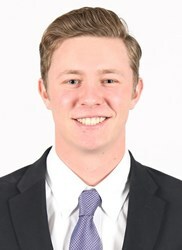 The righty is one week removed from a six inning outing against Northwestern, during which he allowed just one earned run. Opposing hitters have hit just .216 against Erla, the lowest for any Spartan hurler. One area in which Erla has struggled though is allowing extra base hits. 18 of the 45 hits he has allowed this year have gone for extra bases (14 doubles, four home runs). Parsons will get the nod on Saturday for the second straight week, and he has earned it. The junior has bounced back from a rough start to the season with several incredible outings, most recently an eight inning, five-hit gem against Purdue last weekend. He allowed two runs and lowered his ERA to just over three. The junior has provided a consistent quality start for the past several weeks, and has given Maryland a strong chance to win in each of his last few starts. Blohm will make a Sunday start for the second straight week after Parsons took his spot as the Saturday starter. Still, the southpaw has been effective, and has battled through starts even when he doesn’t have his best stuff. A prime example of that was last weekend against Purdue, where he allowed eight hits and five earned runs, but still gave the Terps six innings of work. It was a pleasant bounce back appearance, as the left-hander was able to throw 100 pitches after he was removed from a game against Michigan the week earlier due to arm soreness. With his team in the midst of a six-game losing streak, left-handed pitcher Billy Phillips took the mound for his first career start. He was an unlikely hero, but just the one the Maryland Terrapins so desperately needed, as they rode his four scoreless innings to a 6-1 win against James Madison. It was Maryland’s first win since April 10, also against the Dukes. Phillips retired 12 of the 14 batters he faced, allowing just two hits and striking out four. Neither of the two baserunners made it past first base, and the southpaw lowered his ERA from 8.49 to 6.32. 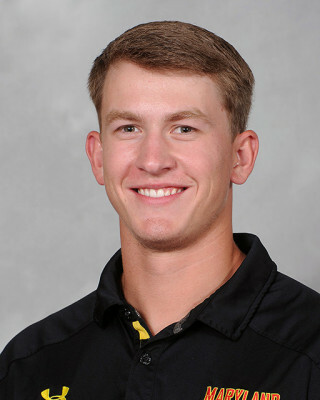 After Taylor Bloom missed his last two starts — he was struck in the head by a line drive before a game on April 13 — the Terps had to shuffle their starting rotation. Mark DiLuia, their usual midweek starter, pitched over the weekend against Purdue, leaving a vacancy that Phillips filled admirably. It was his longest appearance of his collegiate career, which has certainly had its peaks and valleys. The redshirt freshman missed his first two seasons of eligibility while he was battling Leukemia. Phillips was given run support instantly on Wednesday. After he retired the Dukes in order in the top of the first, his offense put up two runs in the bottom of the frame. Marty Costes’ return to the lineup — following a series-long suspension for violating team rules – began with an infield hit. Then, Kevin Biondic drove a RBI triple into the right field corner. He later scored on an infield hit by Zach Jancarski. Maryland added to its lead with a trio of homers. The culprits? Freshman Randy Bednar, who hit one in the fourth, a solo shot by Nick Dunn and a two-run homer by Will Watson in the seventh. Dunn’s deep fly over the right field fence was his team-best eighth of the season. Once Phillips’ duties on the mound concluded, Vaughn turned to a committee of relievers to close Maryland’s fourth midweek win in 2018. Mike Vasturia worked into some trouble, but navigated through two scoreless innings. Freshman Sean Fisher threw a 1-2-3 seventh, Ryan Hill made his season debut with a scoreless eighth, and John Murphy allowed one run, but closed the door in the ninth. Maryland will look to carry this momentum and reverse its recent Big Ten struggles. It will look to snap a six-game conference losing streak when it travels to East Lansing over the weekend to face Michigan State. The chants of a group of fans behind home plate echoed throughout Bob “Turtle” Smith Stadium. The family of Maryland two-way player Kevin Biondic, which has been seen waving cut-outs of Kevin’s face throughout the Terps’ three-game series against Northwestern, was wildly celebrating Kevin’s biggest hit of the season. With a runner on first and two outs in the bottom of the eighth, Biondic launched the go-ahead home run over the center field wall, giving Maryland a 4-3 lead it would maintain to defeat Northwestern, and win its first conference series of 2018. Biondic’s heroics didn’t stop there. With the bases loaded and two outs in the ninth, Biondic was called upon to record the 27th, and final out. He did so, forcing Connor Lind to line out to left field, and earning the save. Much like Saturday’s 6-5 win, it was a gut-check performance for the Terps, who advance to 14-14 with the win. But unlike Saturday, Maryland completed the comeback in style, using the long ball instead of small ball. On the first pitch of the bottom of the first, Nick Dunn took Northwestern’s starter Jack Pagliarini deep, giving Maryland an early lead. Two solid hits later, the lead was 2-0. But a three-run third inning for Northwestern, paired with Pagliarini’s dominant stretch, looked for a while as if it would be Maryland’s demise. In that third inning, Maryland starter Hunter Parsons saw his 11.1 inning scoreless streak come to an end, when Jack Dunn’s RBI double trimmed the deficit to 2-1. Dunn then came around to score on Alex Erro’s single, erasing Maryland’s early lead. Then, the close calls that had gone the Terps’ way late in Saturday’s meeting started going the other way. With one out, AJ Lee jolted to his left, played a soft grounder, and threw to first base. It was within inches, but the second base umpire Brian Drury ruled that Lee did not have the ball in his glove until his back foot was off the bag, negating a potential double play. The next batter, Willie Bourbon, hit a single that ended up driving in the go-ahead run. While the inning unraveled a bit, Parsons kept his composure and kept the Terps within one run the entire game, despite working into some trouble. In the fourth, Parsons let the first two Wildcats reach base, and then loaded the bases with two outs. He escaped without allowing a run. Parsons allowed three earned runs on seven hits, walked three and struck out three. It was the most runs he has allowed in his last five appearances, a stretch during which he has allowed just six earned runs in 39 innings (1.38 ERA). 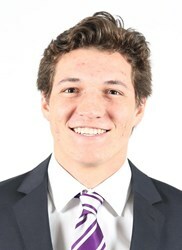 Meanwhile, Northwestern’s star freshman did not allow a single run after the first inning, and only allowed two hits. Pagliarini also had a stretch of retiring 15 consecutive batters, a remarkable feat that ended with Will Watson’s two-out single in the seventh inning. That’s when Marty Costes’ two-out single, followed by Biondic’s homer, gave Maryland its most exciting win of the season. “If we can keep building on that toughness and showing grit when things aren’t going great, that’s the key,” Vaughn said. The Terrapins will have a quick break from Big Ten play, as they host William & Mary on Tuesday. The Tribe were the Terps’ first midweek opponent in 2018, as the two teams met in February in Virginia, with the home team securing a 10-4 win. With a win, Maryland would jump to an above-.500 record for the first time since March 16. After Maryland’s 4-0 loss on Friday, Vaughn said that sometimes, all it takes is one comeback to build momentum and confidence. Saturday’s spirited 6-5 win over Northwestern, capped by a walk-off walk in the 10th inning, may be the comeback Vaughn’s Terps needed. It was a gritty win — as the Terps didn’t hold a lead until the 10th inning walk-off — but one Maryland so desperately needed. “The fact that we were able to come and grind that one out was huge for us, and hopefully gives us some momentum moving forward,” Vaughn said. Maryland’s win got off to a rough start, though. Starting pitcher Tyler Blohm’s attempt to repeat a stellar performance against Stetson got off to a dreadful start. Each of the first two batters to face the left-hander reached base. Then, before an out was recorded, Jack Claeys launched a no-doubt, three-run homer over the center field wall. Blohm allowed a double and then settled down, retiring the side without any further damage. The Terps were quick to respond. In the bottom of the frame, Maryland scraped together a rally of its own. A pair of singles by Nick Dunn and Kevin Biondic started the rally, and both of them came around to score — Dunn on a sacrifice fly, Biondic on a wild pitch. Northwestern fought back, extended its lead in the second when Kyle Burnett Jr. drove in a run with a single. The teams then traded runs with solo homers — Will Watson for the Terps, and Northwestern benefited from another blast by Claeys. The 5-3 Terrapin deficit remained for four innings, as both teams had potential scoring chances thwarted. For Maryland, freshman Sean Fisher entered the game and had a strong performance, throwing 3.1 scoreless innings, allowing just two hits. After a rough stretch, the left-hander kept the Terps in the game while the bats looked to re-emerge. In the fifth inning, Maryland left a pair of runners on base, while in the top of the sixth, Marty Costes threw out Jack Dunn at the plate, keeping the deficit to just two runs. Maryland’s comeback really picked up in the seventh inning, when a Nick Dunn single and Marty Costes walk set the stage for AJ Lee, who drove in Dunn with an RBI single. Still, the Terps were unable to fully utilize the scoring chance, as Jancarski grounded into a fielder’s choice to end the frame, and strand two. Similarly, in the eighth, Maryland only managed one run after placing runners on the corners with one out. Although Watson drove the game-tying run home, it was on a double play, effectively ending the greater opportunity. 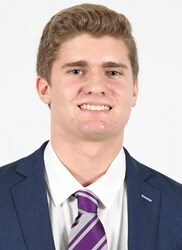 The extra inning rally, aided by poor control for Northwestern reliever Josh Levy and a fielding blunder on Tommy Gardiner’s bunt, gave Maryland its first conference win of the year, and its first win in extra innings since April 26, 2016. It wasn’t a pretty game, as Maryland scored runs on were scored on a sacrifice fly, wild pitch, a bases loaded walk, and a double play, but getting back in the win column was crucial for the Terps. The two teams will play the rubber match on Sunday, when the Terps send Hunter Parsons to the hill, looking to win their first Big Ten series of the year. With the Maryland Terrapins’ bats in the midst of yet another funk, it didn’t take much offensive production for the Northwestern Wildcats to steal a road game from the Terps. As it turns out, all Northwestern needed was one run, and it got more than it needed in a second inning, spoiling Maryland’s Big Ten opener with a 4-0 victory. After Bloom gave up a walk and single to the first two Wildcats he faced in the second frame, a bunt, sacrifice fly, and single provided the visitor’s with the games first runs, and the only until the ninth inning. The first run, which came home on Ben Dickey’s bunt, was fielded by Bloom, who flipped the ball home too late to get the runner. Later in the game, Marty Costes gunned out a Wildcat runner looking to extend a single to a double, Kevin Biondic and Nick Dunn both made diving stops, and Justin Morris threw out a potential base stealer. The Terps’ defensive successes were overshadowed by their offensive woes. Maryland didn’t have runners on base often, but when it did, they were often erased quickly. Both AJ Lee and Dunn were thrown out trying to steal second base, while Lee was also doubled up on a comebacker in the fifth inning. While these may not have seemed like potential game-altering moments at the time, the Terps’ cold bats only increased the importance of every baserunner they were able to get. Lee had two of Maryland’s four hits on the evening, all of which singles. Maryland’s only two other base runners reached on a walk and a hit by pitch. As a team, the Terps were 0-for-10 with a runner on base, and didn’t have a runner reach second base. These struggles were nothing new for the Terps, who have now been shutout four times — three of which have come in the last two weeks. Furthermore, they have scored four runs or fewer in 15 of their 26 games. Once Bloom worked past the rough second inning, he had one of his better starts of the season. The senior right-hander completed eight innings, threw 108 pitches, and regained his control after walking four and hitting Jack Dunn twice. Despite having a solid start, Bloom’s performance paled in comparison to Northwestern freshman Quinn Lavelle, who tossed a complete game shutout. The left-hander was spectacular, finishing the game with eight strikeouts, and lowering his season ERA to 2.10. Northwestern tacked on an insurance run on an RBI double by Willie Bourbon in the ninth inning. Maryland will have a chance to avoid opening its Big Ten season with a series loss when it continues its series with Northwestern Saturday at 2:00 p.m. Tyler Blohm, coming off a stellar eight inning performance, will look to force a rubber match on Sunday. 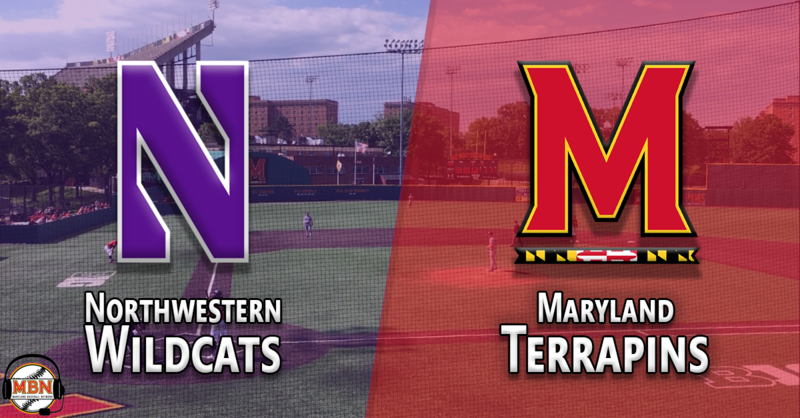 The Maryland Terrapins (12-13, 0-0 Big Ten) open their conference schedule this weekend with a home series against the Northwestern Wildcats. Consistency has been an early-season problem for Maryland, the Terps are hoping the team that scraped out two gritty wins against Stetson shows up, not the team that collapsed in Tuesday’s loss to Richmond after allowing six Spider runs in the sixth frame. Now, a scuffling Northwestern team (7-12, 0-3 Big Ten) becomes the newest opportunity at a potential momentum-shifting series. The Wildcats are in the midst of a five-game losing streak, but have lost those games by an average of less than two runs. That stretch includes a pair of extra inning losses to then-No. 24 Illinois this past weekend. There were bright spots for the Wildcats to take from the weekend, however. Their pitching, which has been lackluster and currently ranks last in the Big Ten with a 5.83 ERA on the season, allowed just 14 runs in three games against the powerful Illini. Northwestern’s offense has also been inconsistent, hitting just .235 as a team but plating nearly five and a half runs per game. No Wildcat starter is hitting over the .300 mark; Alex Erro and Jack Dunn lead the team with averages of .296 and .286, respectively. Erro will look to resume his hot streak after a fantastic series against the Illini, during which he went 5-for-11 with a home run, three RBI, reached base in 50 percent of his plate appearances, and didn’t strike out a single time. He followed that up with a 3-for-5 day in Northwestern’s midweek against Chicago State. Willie Bourbon has provided the pop for the Wildcats, leading the team in home runs (4), RBIs (16) and total bases (34), but has cooled down greatly since a hot start to the spring. The junior infielder hit four home runs in his first eight contests but has not cleared the fence since, and has seen his average drop from .333 to .246 during that stretch. The challenge for Erro and company — finding success against a Maryland weekend rotation that has really come into its own as of late. While Taylor Bloom has seen his productivity decline, Tyler Blohm and Hunter Parsons are coming off their best starts of the season. Blohm struck out a career-high eight batters in eight innings against Stetson while Parsons threw a complete game shutout, which garnered him Perfect Game/Rawlings National Pitcher of the Week honors and Big Ten Co-Pitcher of the Week honors. Meanwhile, Maryland saw its offense sputter in its midweek game, unable to follow-up a pair of weekend wins against Stetson. The Terps only had four hits in a 10-3 loss to Richmond, three of which were solo home runs. Tuesday’s poor showing lowered the team’s batting average to .232, the third-lowest mark in the conference, and just .02 points higher than the team in the cellar of that list. Nick Dunn continues to pace the Maryland bats, slashing .330/.438/.604 even after an 0-for-3 performance at the plate in Tuesday’s loss. The second-baseman leads the team with six homers – equaling his career total entering this season – seven doubles, 20 RBIs and 21 runs scored. Kevin Biondic has also impressed, tallying 11 extra-base hits and 17 RBIs to go with a .283 average. Many of the Terps’ regulars and semi-regulars have yet to find their groove at the plate – Taylor Wright, Justin Morris, Tommy Gardiner, to name a few, are all below the .200 mark. But Marty Costes, who started the season ice cold, has heated up of late, raising his average from the mid-.100s to .220 over the past week and a half, with a respectable .348 on-base percentage. Taylor Bloom’s feel-good start against East Carolina two weekends ago faded away after the senior right-hander faltered last week, allowing seven runs on 10 hits over seven innings against Stetson. He has consistently provided depth for the Terps this season, averaging seven innings per outing, and will look to return to his early-season form this weekend against the Wildcats. Lavalle has solidified a spot as one of the Big Ten’s best young pitchers just several weeks into his freshman season. The southpaw has pitched to a 2.84 ERA, and that’s after arguably his worst start of the season last weekend when he allowed three earned runs in 6.1 innings against a talented Illinois offense. There are some growing pains for the freshman, who has 16 walks compared to 15 strikeouts, but if he can keep his pitch count down, he is already an arm worth watching across the conference. Tyler Blohm is coming off of his best start of the season, and arguably the best of his short career. The sophomore lefty threw eight innings, allowing just one unearned run, against Stetson last Saturday. He struck out a career-high 12, and was able to keep his pitch count to just 97 pitches, facing 28 batters, and allowing just four hits. 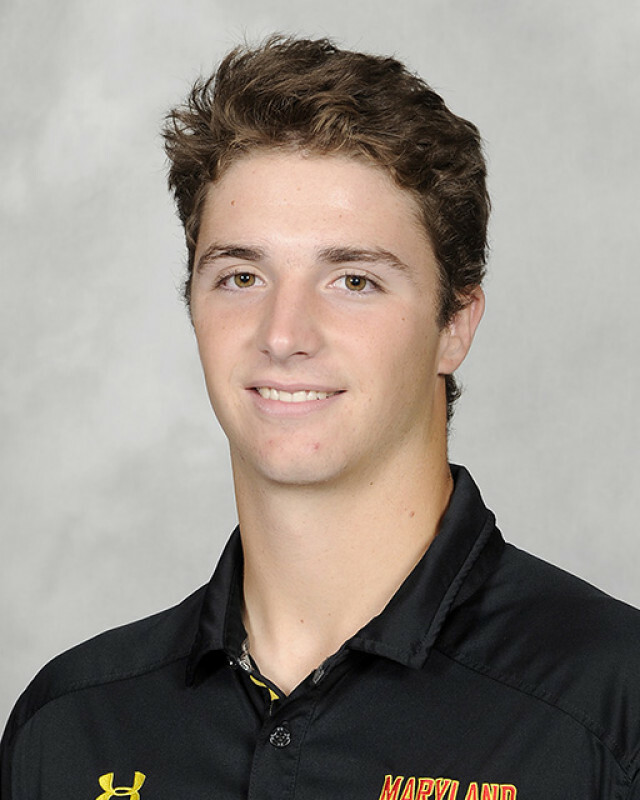 He has completed at least six innings in four of his six outings, and leads the Terps in strikeouts – a sign of what the Terps hoped they’d be getting from the reigning Big Ten Freshman of the Year this season. Hank Christie, a sophomore, is the most experienced starter Maryland will face this weekend, but hasn’t continued his tremendous end to his freshman season. Last year, the member of the All-Big Ten Freshman Team went 4-0 in his last six starts with a 1.54 ERA. So far this year, he’s hit a bit of a sophomore slump, allowing at least four earned runs in four of his six starts. He did have back-to-back scoreless scarts against MacMurray and Central Michigan, and followed that up with 5.2 innings against Illinois, allowing four earned runs on three hits. What seemed improbable before the season has happened: Hunter Parsons has been the Terps most consistently dominant starter. The junior has thrown four superb games in a row, a streak that started with seven scoreless innings against Ball State on March 4, and culminated with a complete game shutout against Stetson last week. Through his last four starts, he has thrown 32 innings and allowed three earned runs, lowering his ERA to a team-best 3.23 mark. Jack Pagliarani is in the midst of his best stretch of his freshman year, and is currently ranked sixth in the Big Ten in ERA. The Springfield, Ohio native has thrown six innings in each of his last three starts, allowing two earned runs in those 18 innings. He struck out seven in his first Big Ten start last week against Illinois, and didn’t allow an earned run. The only struggle he had against the Illini was with his control, as he walked a career-high four batters.